If you’ve decided to visit the colourful country of India, no doubt there’s plenty of places on your bucket list. From a trip to the Taj Mahal, to the Holi festival of colours, or even a meeting with the Dalai Lama, there’s so many things to explore and experience in this massive country that it’ll take you a few trips to truly see it all. Our vote though? Be sure to make a stop just south of New Delhi, at the amazing Chittorgarh Fort in Rajasthan. Trust us, you won’t regret it. While it’s not the Taj Mahal, the Chittorgarh Fort is still a beautiful and import part of Indian history. Built during the 7th century by the Mauryan people, it’s considered the largest fort in India, and is currently a World Heritage Site due to its impressive history. The fort sits on top of a 180 metre tall hill on the left bank of the Berach river, close to the town of Chittorgarh. The fort is spread over 2.8 square kilometres and boasts 22 water catchments that once upon a time met the water needs of over 50,000 soldiers. 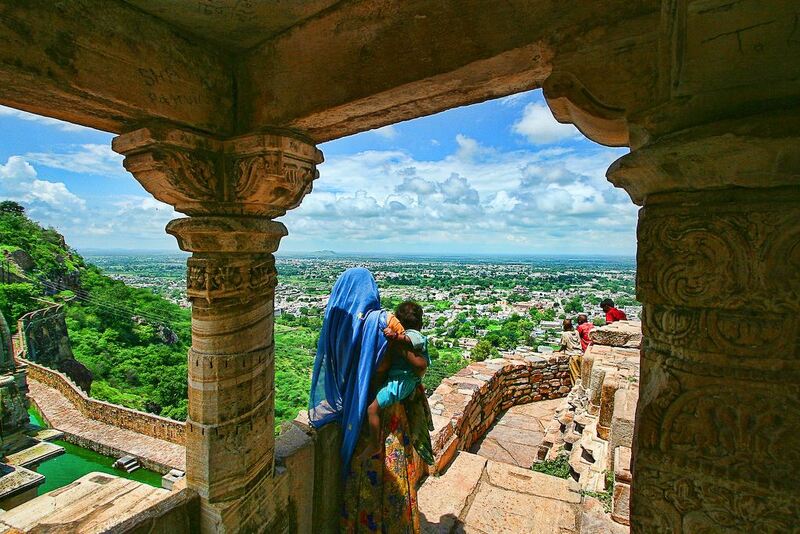 The Chittorgarh fort is also an excellent place for history buffs – there are dozens of stories of sacrifice, murder, looting and besiegement that have run rife through the fort over the years. Established in 734AD and inherited by Bappa Rawal, founder of the Mewar Dynasty which is now modern day Rajasthan, the fort has undergone three major sieges over its history. The first was in 1303, the second in 1535 and the last in 1567 – each time the owner of the fort was defeated after a brave battle. It’s said that the Chittorgarh fort is a tribute to the nation’s courage, bravery and sacrifice, as it was common to believe death was a better option than surrendering to the invading army. Climb the towers, wander through the ruins and enjoy the breathtaking view from above – it’s really no wonder why this place was so highly sought after back in the day. Check out Qantas flights to India here.